Itsusai Yoyozuya,who was Mari Mihashi, a modern Ukiyo-e artist and civil ambassadress, has introduced real authentic Japanese culture in the U.S., simultaneously creating new Japanese images through the works. 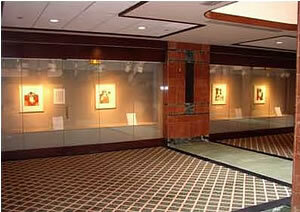 In October 2006, the Modern Ukiyo-e Exhibition sponsored by New York Japanese Consulate General featured the Ukiyo-e works and drew great attention from visitors. As a result of the success, the Ukiyo-e works were now held at both New York Public Library along with major Ukiyo-e works created by Ukiyo-e artists from old Edo period.Now, we are proud to present the Irodori-e, a New York born Ukiyo-e painting, exhibition with a support of New York Public Library. 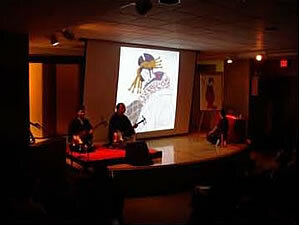 Her Irodori-e Exhibition sponsored by the U.S. Japan Embassy also took place in April 2007. MIHASHI participated in and performed at the events including JAPAN WOW! hosted by Smithsonian Institution.Itsusai also delivered a special talk at the Bethesda Rotary Club to promote U.S.-Japan relationship by introducing authentic Japanese culture. We still recall an enormous success at the Hokusai exhibition 2005 sponsored by Smithsonian Institute, bringing large number of audiences. That Itsusai’s works was exhibited at JAPAN WOW! shows increasing interests among American people toward Japanese culture and Ukiyo-e.
Itsusai Yoyozuya promises to promote old Edo authentic culture from Japan, one of the most beautiful countries, to the rest of the world. 2 Apr 2007 - 8 Jun 2007, Free and open to the public　9:00 a.m. - 5:00 p.m.
Monday, 16 April, 6:30 p.m. - 8:30 p.m.
Sunday, 15 April, 2:00 p.m. - 4:00 p.m.
Tuesday, 17 April, 1:00 p.m. - 1:30 p.m.
Itochu International Inc., and JTB Global Marketing & Travel Inc.
Held in New York. Purchased from the collection of the New York Public Library. Kabuki is a form of traditional Japanese theatre; with its origins in Kyoto and popularized in Edo (Tokyo). Danjyuro Ichikawa is a star actor in Kabuki theatre. 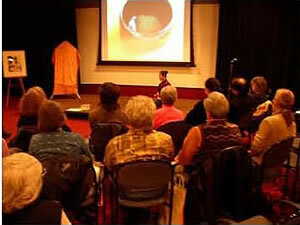 It is very common to perpetuate lineage in Japanese traditional arts. The name Danjyuro Ichikawa also has been passed on to the new generations. When the name was bestowed on the current Danjyuro Ichikawa, he inherited the artistic legacy of previous generations and at the same time polished his performance with his own uniqueness. Narita-ya is “Yago” actor’s house name, which reflects their ranks. respected name left vacant for 12 years, he took the Danjyuro Ichikawa name at the age of 44. Danjyuro Ichikawa IV was reputed to have been a nervous, hot-tempered type. Slender and tall with a long face and sharp-looking eyes, he looked the part of a villain in “Jitsu-goto”, fact-based plays. Although he was not suited to “Ara-goto” plays that were dynamic and energetic, he cultivated his own unique art of acting. He retired in 1776, and passed away on February 25, 1778, at the age of 68. 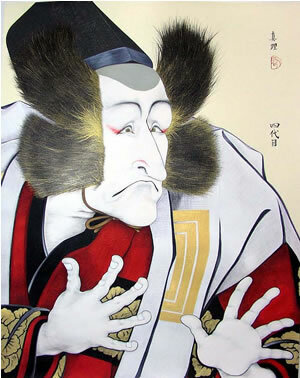 This portrait of the actor was inspired by information on how he appeared in life as Danjyuro Ichikawa IV. Ukiyo-e is a genre of painting that depicts the daily lives of Japanese people during the Edo Period between the 17th and 19th centuries. Literally, ukiyo means “modern” and e means painting. Ukiyo-e works very popular among common people in Edo period, and, in addition, ukiyo-e paintings and prints were greatly loved by European Impressionist painters such as Vincent van Gogh and Edouard Manet, and were very influential in their work. Ukiyo-e consists of two styles: one, paintings drawn with a brush by the artist, and the other, woodblock prints. Generally, "ukiyo-e" is used to refer to the woodblock prints. Ukiyo-e works were developed in order to reach more people as a means of delivering information. The artwork of ukiyo-e represents the collective effort of the painters (e-shi) of the original works, the publishers (hanmoto), and the supervisors of the other workers, including the carvers of the wood boards (horishi) and the printers of the woodblock prints (surishi). In the Edo Period, ukiyo-e artist groups were constantly searching for new printing techniques, and cooperating in the effort to conquer the challenges of this art form. In the early Edo Period, woodblock prints were only done in black ink; those prints are called sumizuri. Later, yellowish red ink was added on top of the black ink; such works are called tan-e. As the technique developed, more colors, such as red, yellow, purple, and green, could be included; these later works are called beni-e. Prints with only two colors, red and green, are termed benizuri-e. Finally, in 1765, the artist Harunobu Suzuki developed a technique enabling printing with many colors; such prints are called nishiki-e.　As a modern ukiyo-e artist in present day Japan, Mari Mihashi believes in the importance of continuing the pioneering spirit of the original ukiyo-e artists' groups, courageously facing the unknown and daring to attempt experimental techniques, just like the ukiyo-e artists of the past. Mihashi believes that modern ukiyo-e should embody traditional Japanese customs, passing on that legacy to the next generation. At the same time, modern ukiyo-e has an important role in creating a new culture, capturing a hint of the modern world. As one way of achieving this, Mihashi uses very heavy paper of the highest quality, echizen hoshogami, considered a national treasure in Japan, along with new methods that combine traditional printing techniques and modern digital printing. Her innovative efforts have resulted in the world’s first technique for producing magnificent prints that combine both the special characteristics of the Japanese tradition and distinctive elements of modernism. This emerging ukiyo-e printing technique, called, in a term coined by Mihashi, irodori-e, may replace nishiki-e some day.